The power of this scripture should not be understated. Keep in mind that Abraham was 100 years old and his wife, Sarah, was barren at the time of God’s promise. How was he to become a father? How could Sarah bare children? Instead of leaning on his own understanding and questioning God, he believed what God said was going to happen. There was no other choice. Matthew 5:7 Do not think that I have come to abolish the Law or the Prophets; I have not come to abolish them but to fulfill them. Winning this spiritual war, this battle for salvation is not a one-step process. 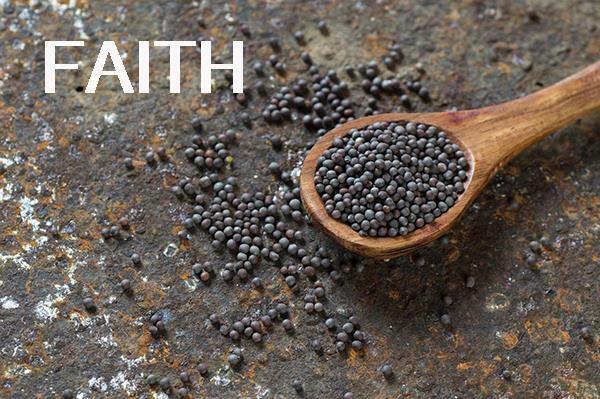 It takes focus to be consistent and listening to audio sermons on faith is a great way to keep your faith alive. Practicing discipleship is our responsibility as Christians to reach the lost souls. Just like Jesus sent out the disciples to preach the Gospel, we have to be diligent to follow Him and His example. Audio sermons on faith help to sustain our complete confidence in our Lord. Through Him, we can do all things and never waiver. When we are in the will of God He uses us as willing vessels to complete the task at hand. He has given us specific gifts to attain these goals. Now there are diversities of gifts, but the same Spirit.And there are differences of administrations, but the same Lord. And there are diversities of operations, but it is the same God which worketh all in all. But the manifestation of the Spirit is given to every man to profit withal. For to one is given by the Spirit the word of wisdom; to another the word of knowledge by the same Spirit; To another faith by the same Spirit; to another the gifts of healing by the same Spirit; To another the working of miracles; to another prophecy; to another discerning of spirits; to another divers kinds of tongues; to another the interpretation of tongues: But all these worketh that one and the selfsame Spirit, dividing to every man severally as he will. Faith is not something you can touch or feel but a knowing or confidence we develop through fasting and studying the word. Most of all, a relationship with Jesus through prayer. It’s in His presence where miracles and supernatural events happen. Surrender everything to Him. Our hope through faith brings substance and blessings into our lives. If you never develop a relationship, it’s likely that your faith in Him will never grow. Seek His righteousness! Be a follower. Do unto others as you would have them do unto you! We have so much to lose and so much to gain. Audio sermons on faith can help you see more clearly. Sermon audios and MP4’s are becoming a popular way to listen and watch inspirational messages. Children podcasts are also a great way for young ones to hear biblical stories presented in a way for an easy understanding of God’s word. KNCB.org has a wealth of information and resources to gain from and share. Learn more about how your ministry can share the word of God on the network. Contact us today! Damian is a freelance writer and has worked as a freight train conductor. He also has a Bachelor’s in Psychology.